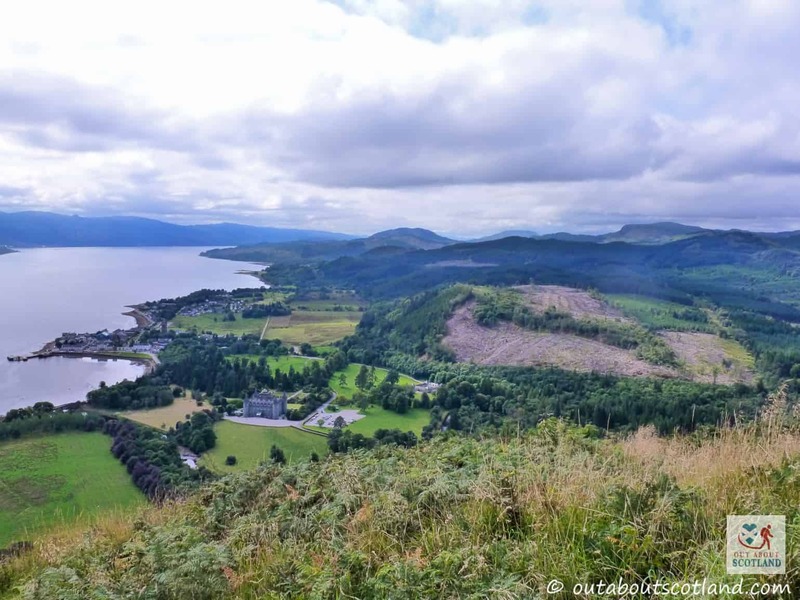 The shores of the longest sea loch in Scotland, Loch Fyne, have served as the ancestral home to the Duke of Argyll, chiefs of Clan Campbell, since the 18th-century. 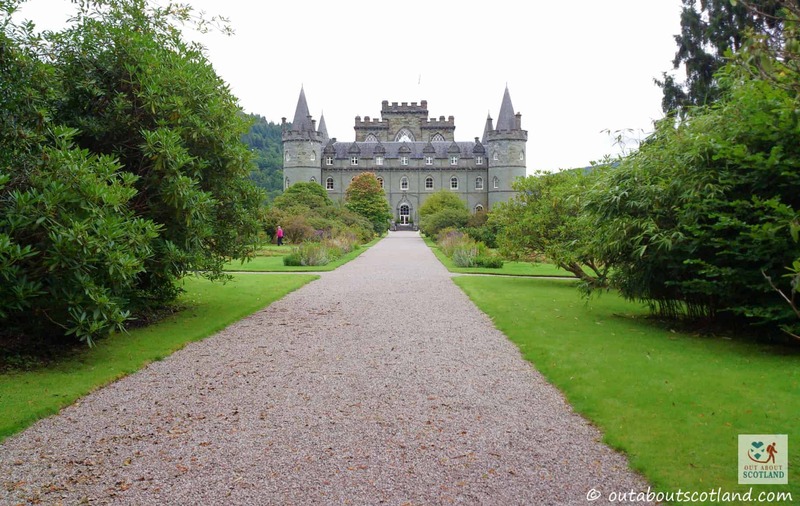 It’s here that Inveraray Castle, possibly the prettiest castle in Scotland, has been a focal point of the area since the very first foundation stone was laid in 1746. 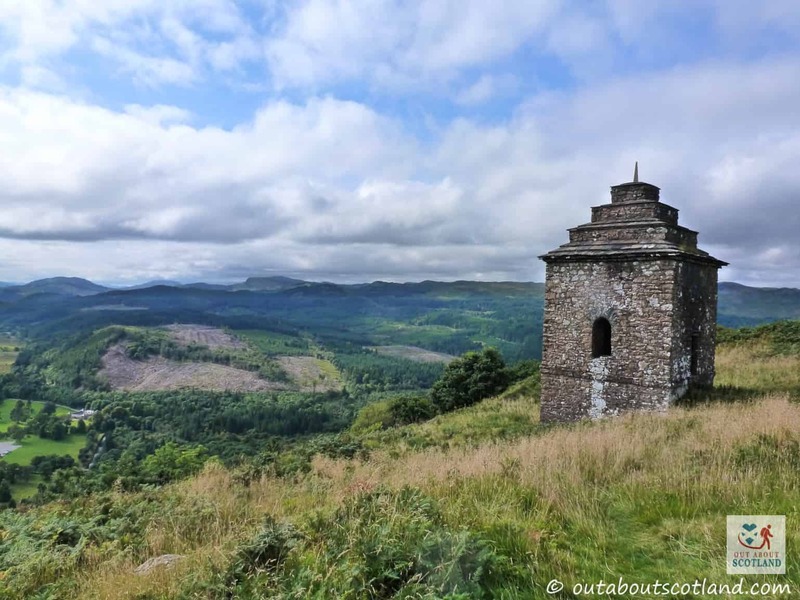 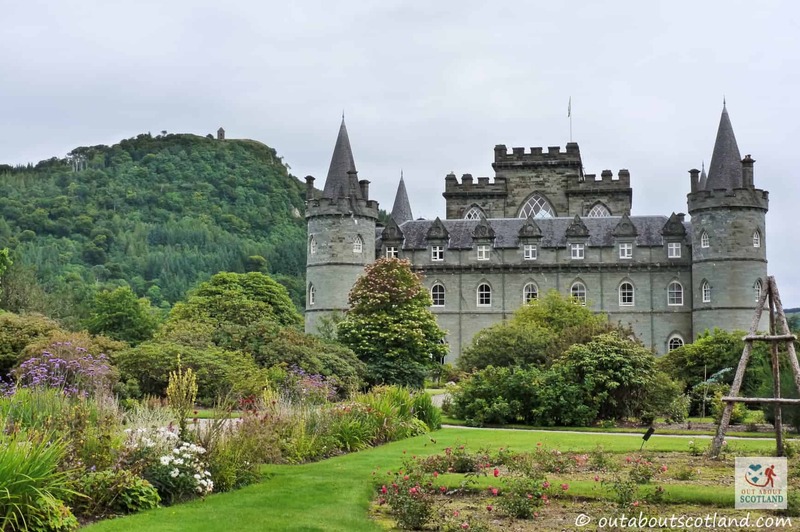 This castle is one of the most popular tourist attractions in Argyll, with visitors flocking to see its famous conical roofs, impressive weapons collection and beautifully manicured 16-acre gardens. 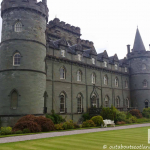 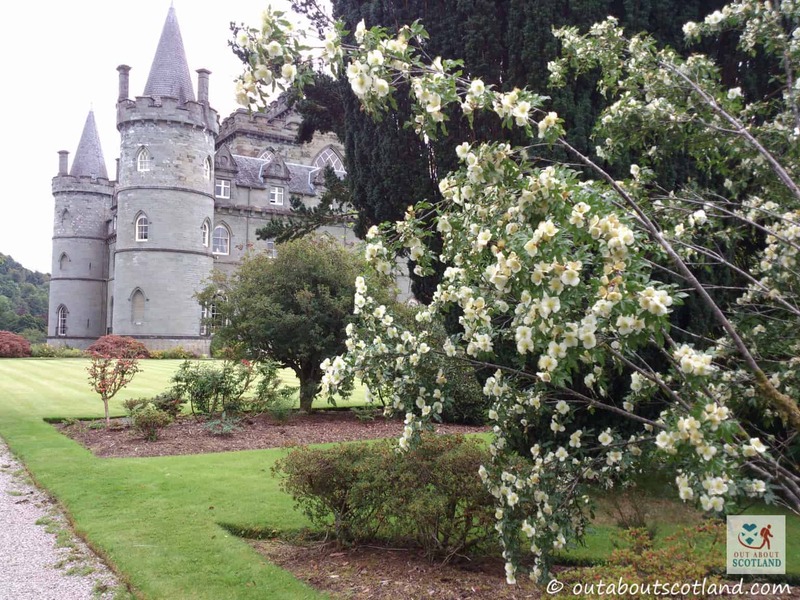 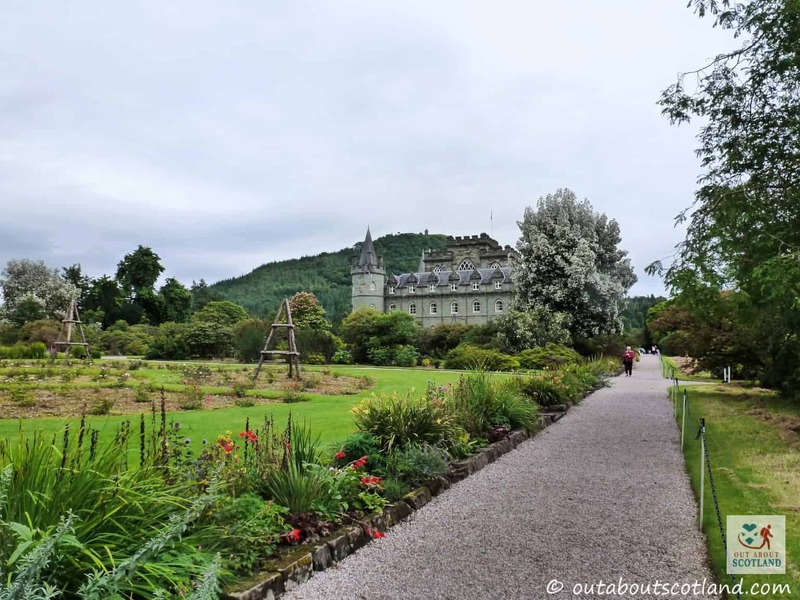 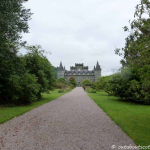 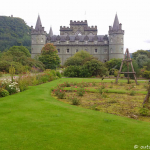 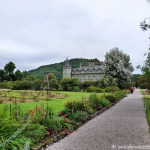 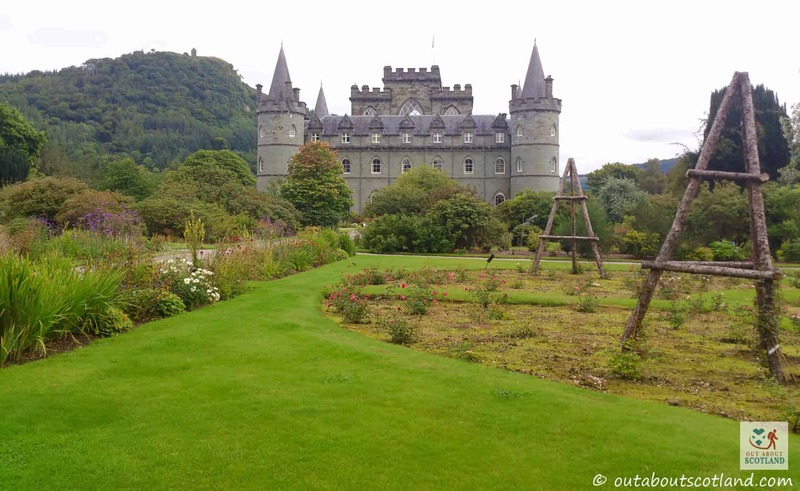 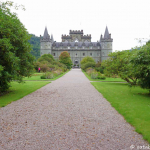 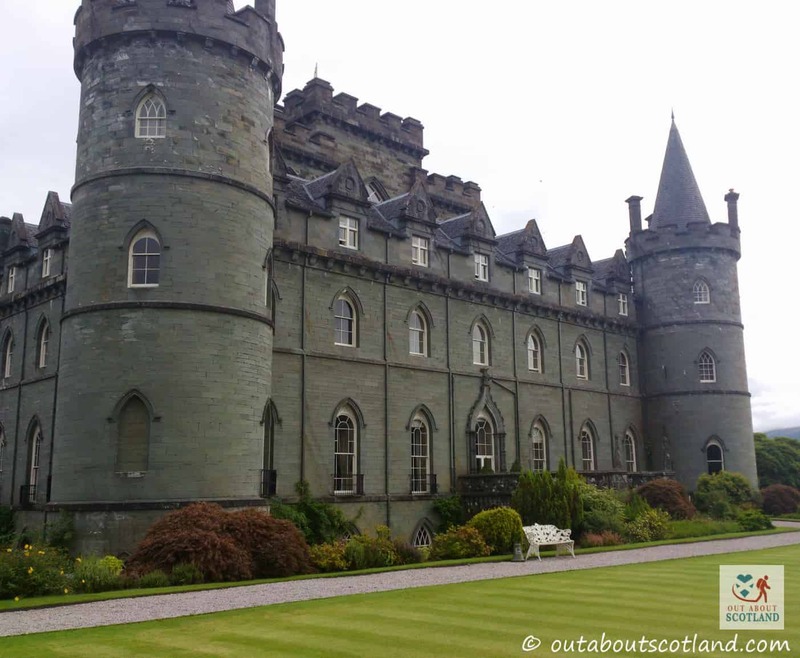 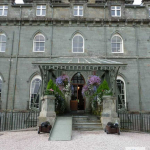 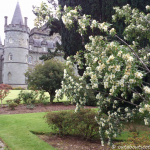 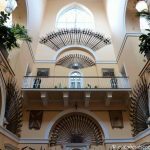 A visit to Inveraray Castle really is a great day out and it offers something for all ages so kids will have loads of fun exploring the gardens just as much as mums and dad will enjoy wandering through the rooms. 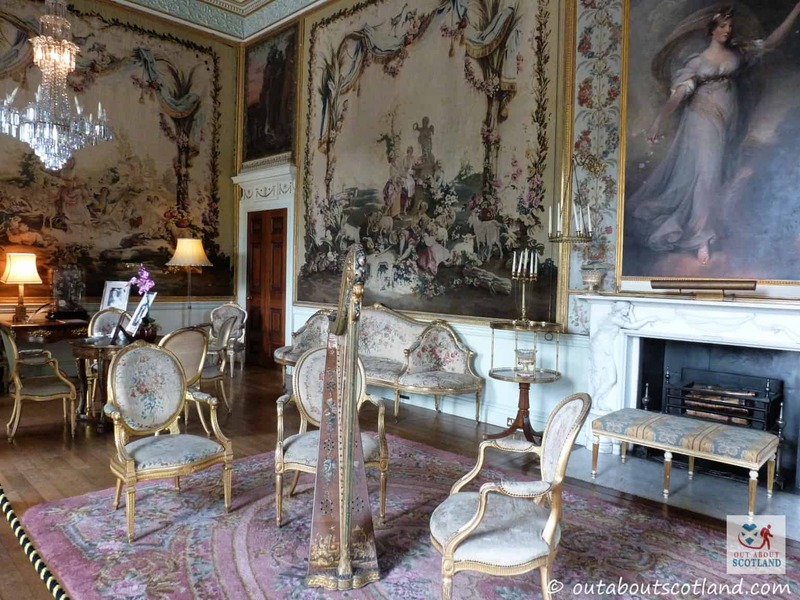 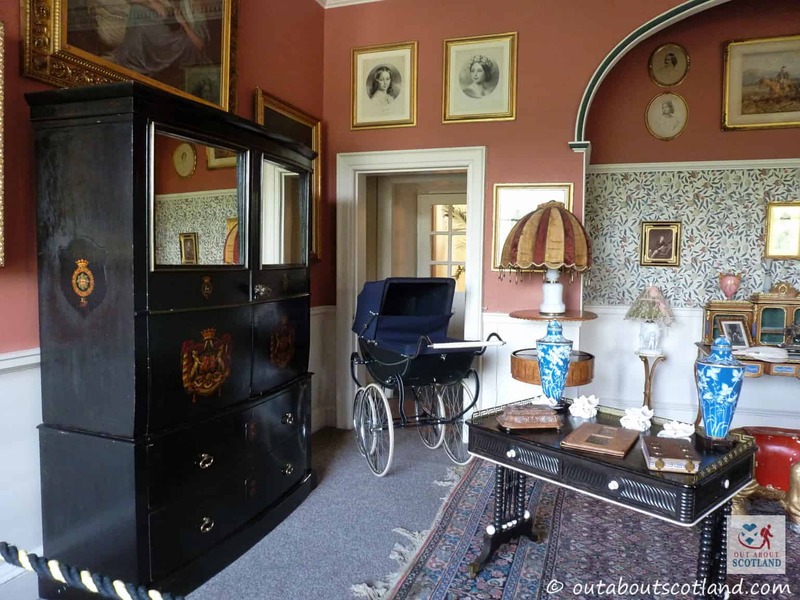 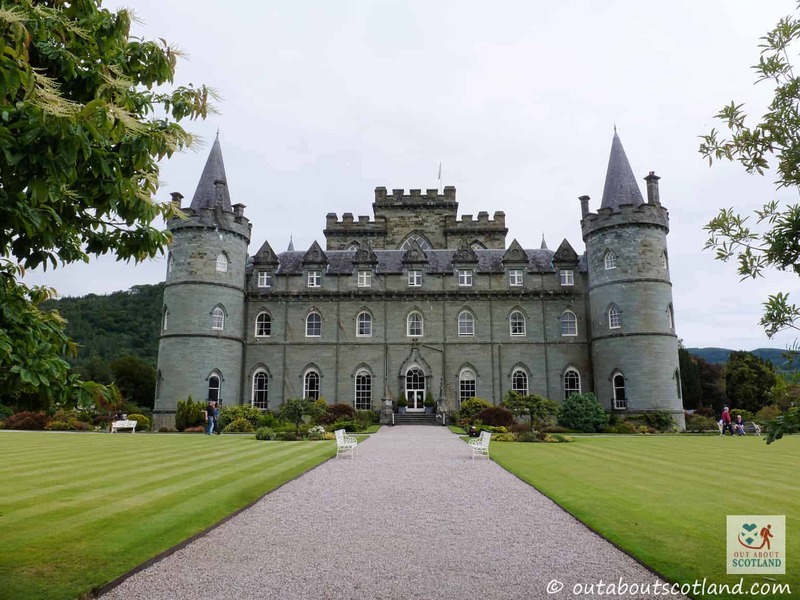 Walking around the stately rooms you get a real sense of the history that surrounds Inveraray Castle, and some of the rooms have to be seen to be believed. 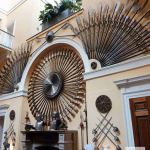 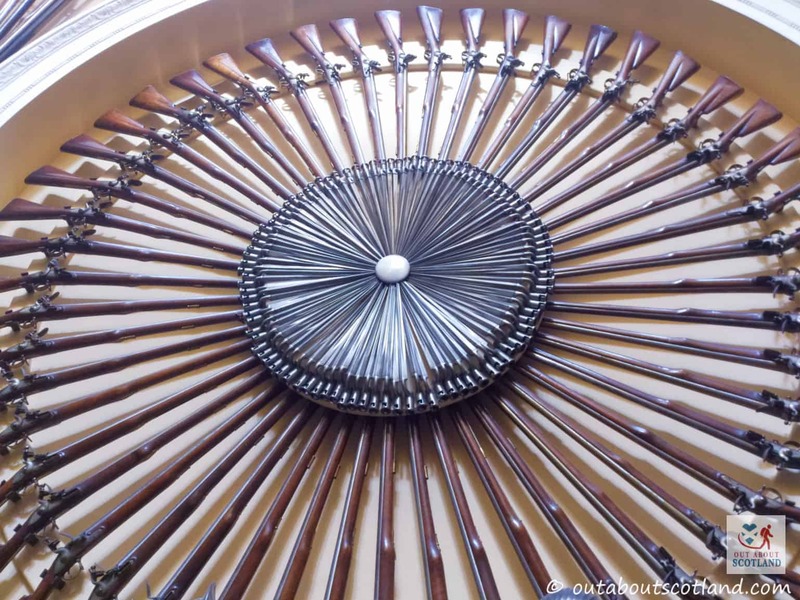 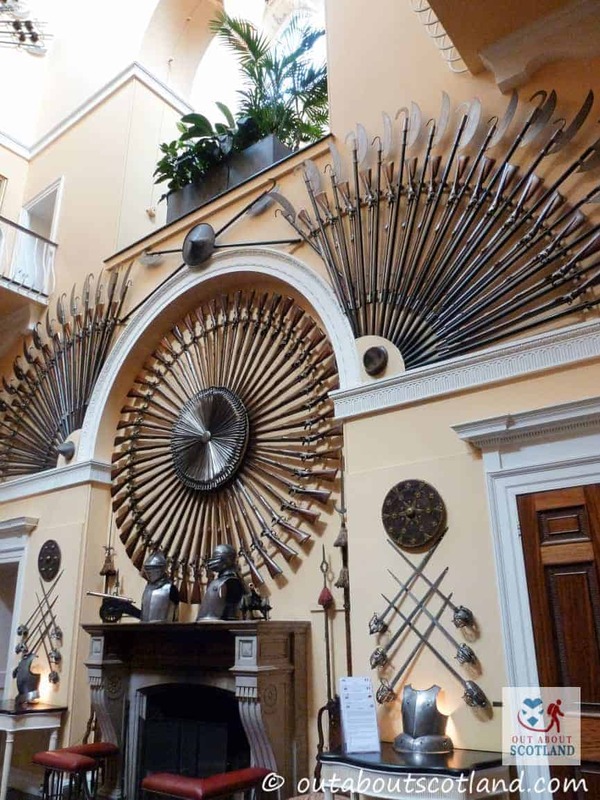 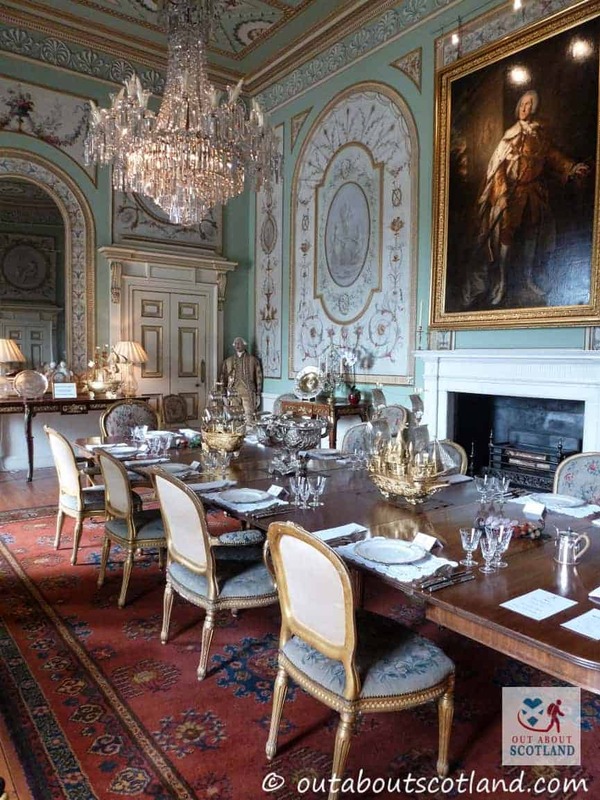 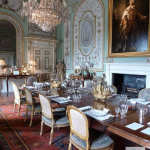 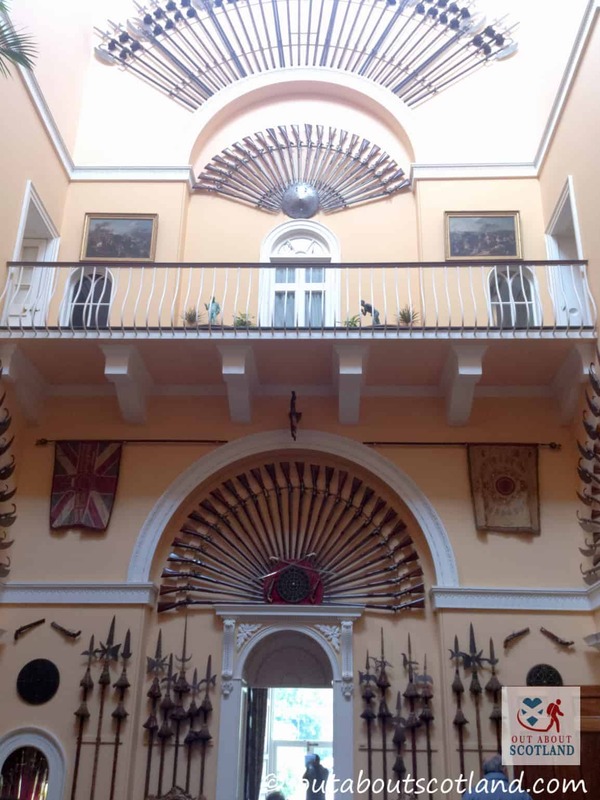 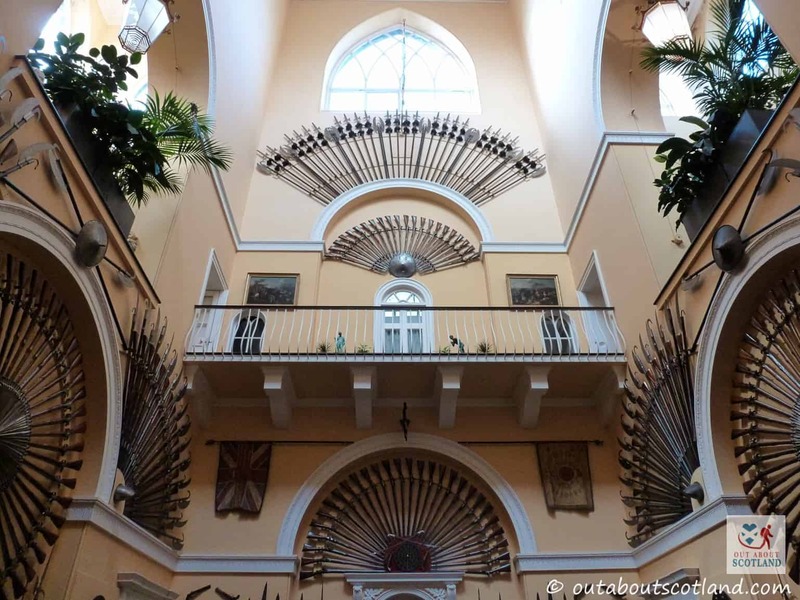 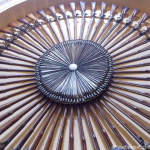 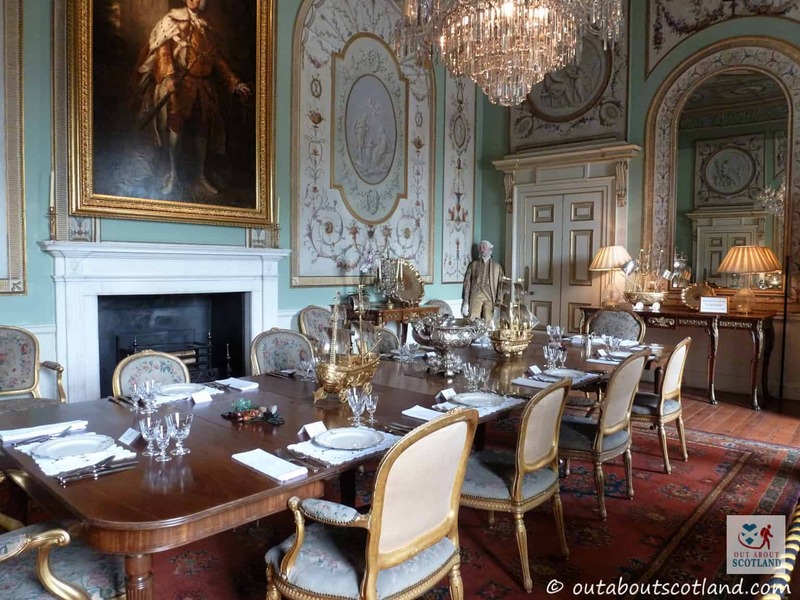 Highlights include the Armoury Hall which has the highest ceiling of any building in Scotland at an incredible 21m and the State Dining Room with its collection of elaborate paintings and the enormous dining table with its outstanding collection of tableware. 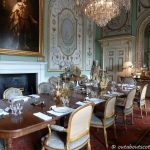 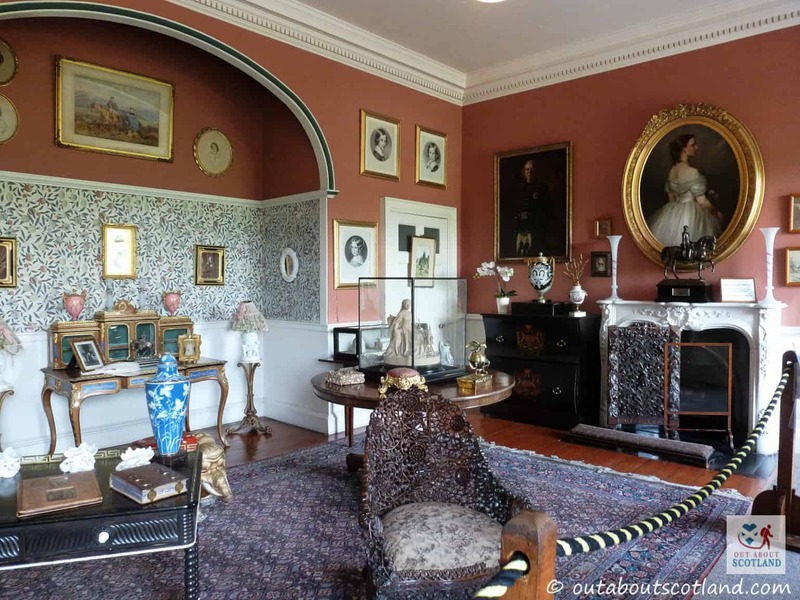 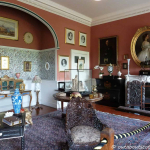 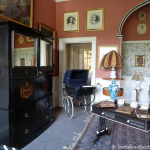 But even though the castle is filled with extravagances from a bygone age it’s interesting to note that the Duke of Argyll and his family still live in their own private quarters, and they can often be seen by tourists as they make their way around the estate. 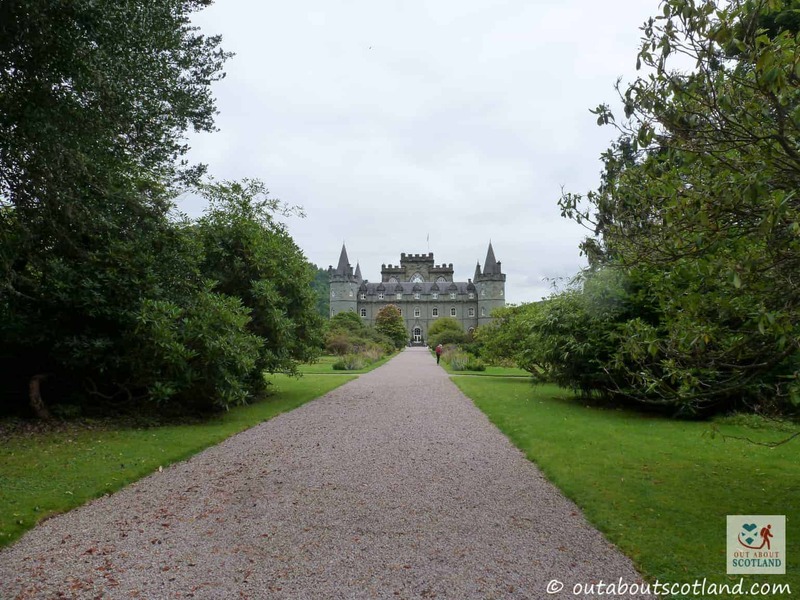 Easily rivalling the impressive rooms are the immaculately manicured grounds, and you’re unlikely to see such stunning landscaped gardens anywhere else in Scotland. 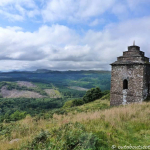 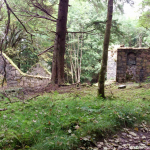 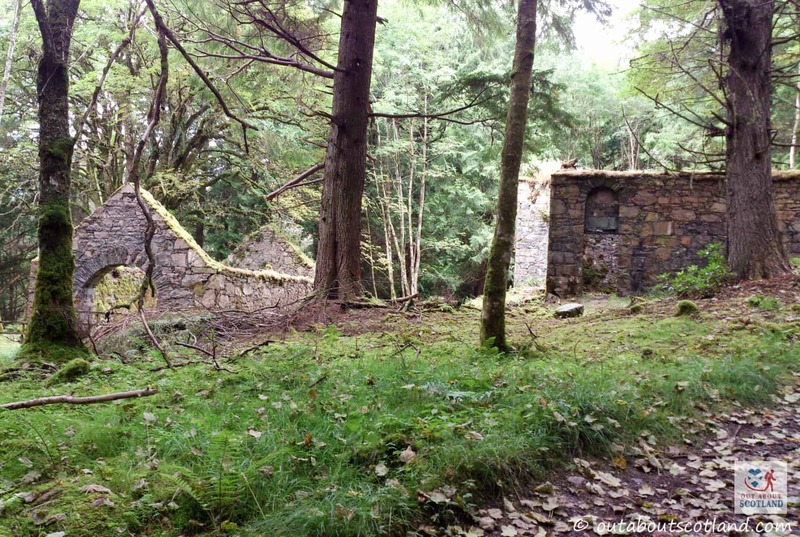 Only slightly further away are the conifer woodlands which offer some very peaceful walks, and nearby you’ll find the remains of kilns where limestone was processed over a hundred years ago. 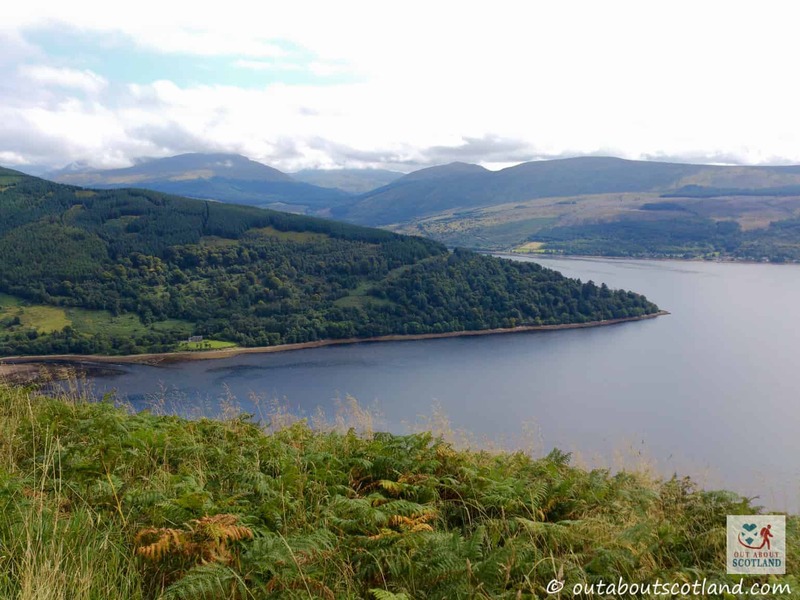 The tracks leading out from here go all the way up to the 248m high summit of Dun na Cuaiche, the hill which can be seen for miles around. 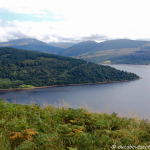 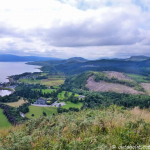 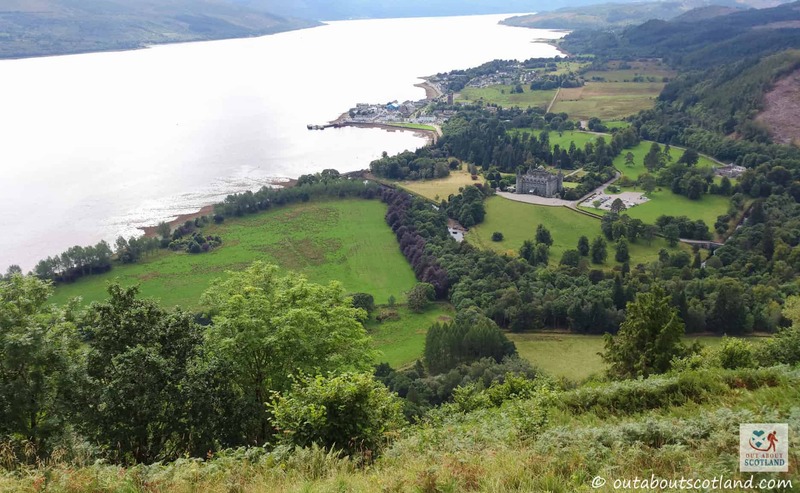 The views from up there are stunning, and with the castle clearly visible below and the town of Inveraray and Loch Fyne just behind it, you have a photo opportunity you won’t soon forget. 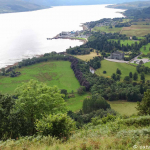 The castle is an easy drive/walk to the centre of Inveraray village so after a visit you can always stop off and explore the wee harbour and walk along the side of Loch Fyne. 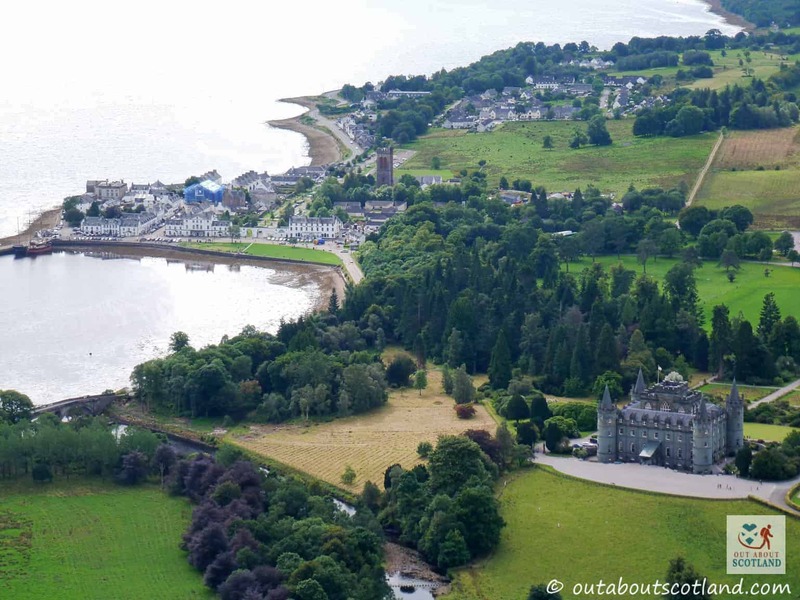 Top Tip: Before you go for a walk grab a bag of chips from the chip shop near the harbour – they’re delicious – but watch out for the sneaky seagulls or they’ll nab them before your first bite. 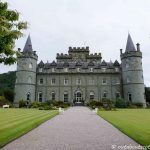 There’s been a castle standing on the shores of Loch Fyne since the 1400s, although the building that we can see today started life as an idea that was brought to life by the 3rd Duke of Argyle in the 1700s. 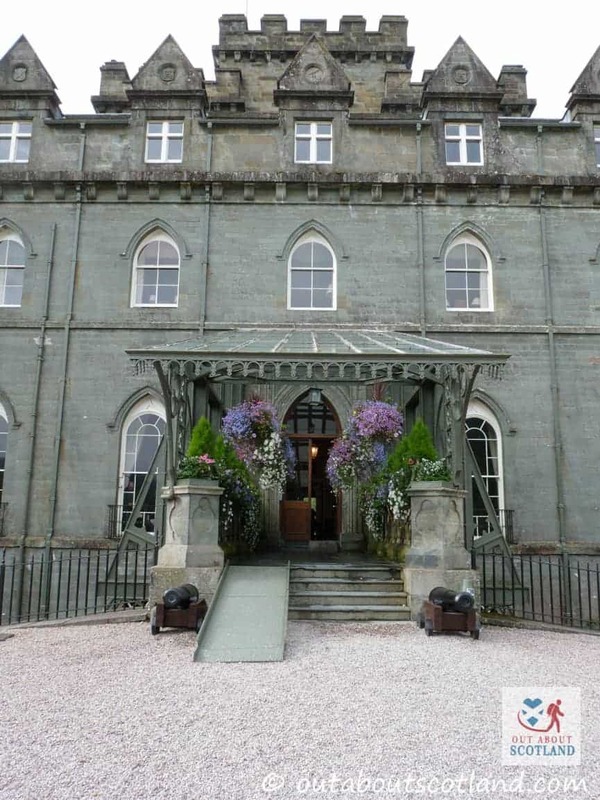 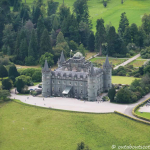 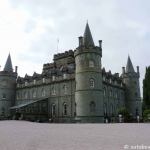 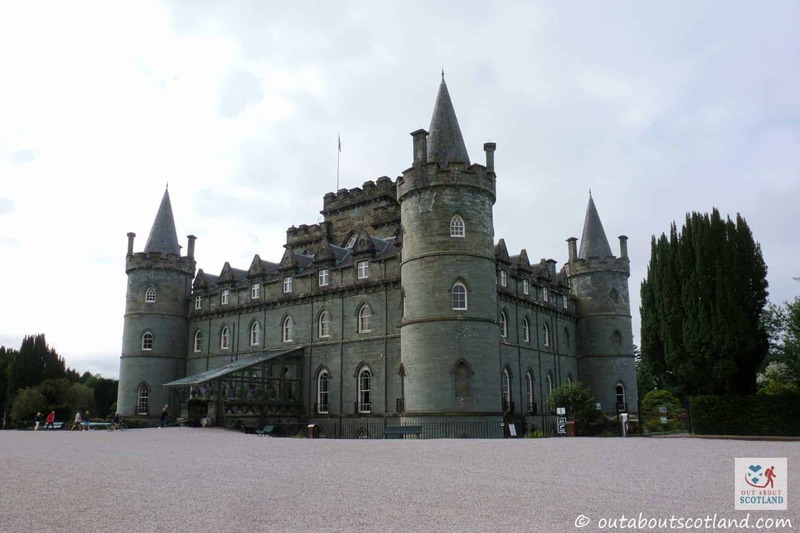 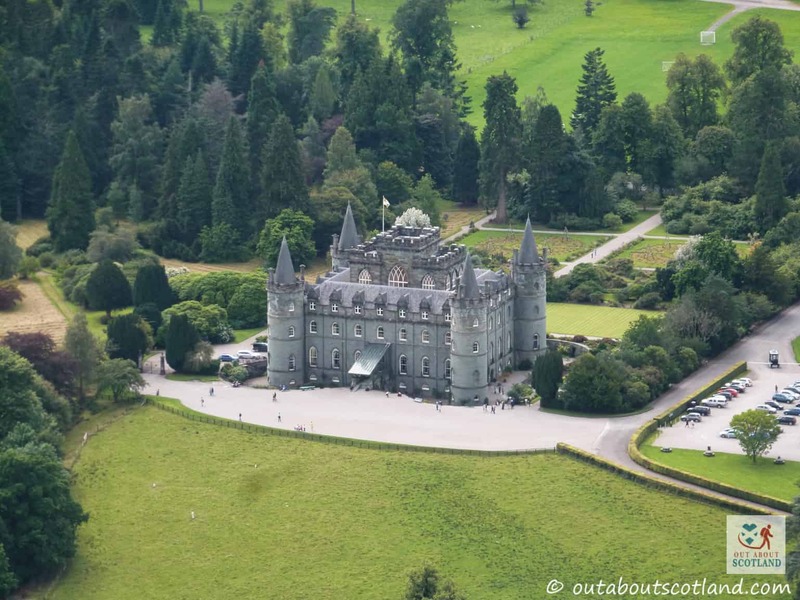 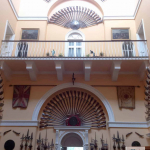 In 1877 a devastating fire blazed through Inveraray Castle which led to the third floor and the conical roofs being added, with another catastrophic fire in 1975 leading to further renovations. 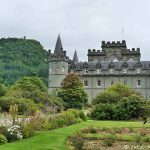 The final gothic-style building that we see today has become world-famous for its architecture, and you will likely recognise it from its appearance in the popular TV series Downton Abbey where it portrayed Duneagle Castle. 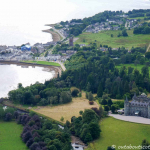 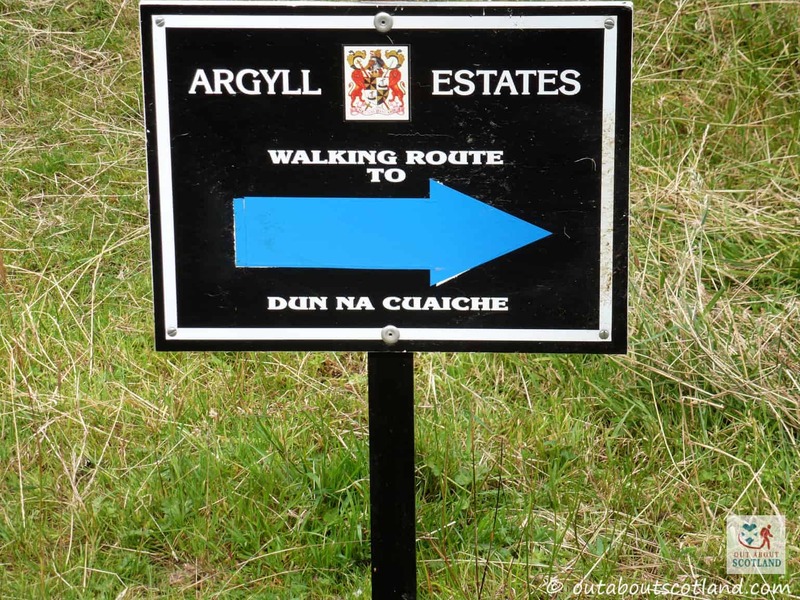 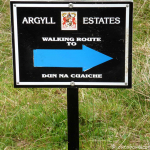 From the village of Inveraray on Loch Fyne follow the tourist signs to the castle.